Gorgeous ceramic 'eyelashes' make up brush holder pot. This beautiful ceramic make up brush holder is made from a heavy weight white ceramic with black interior. 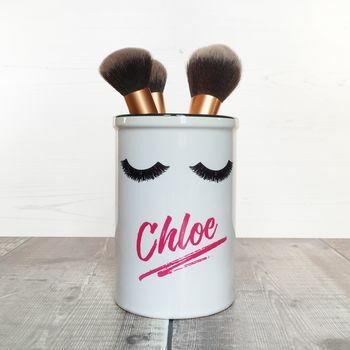 It features hand drawn eyelashes and the name of your choice in hot pink in a lipstick style font. 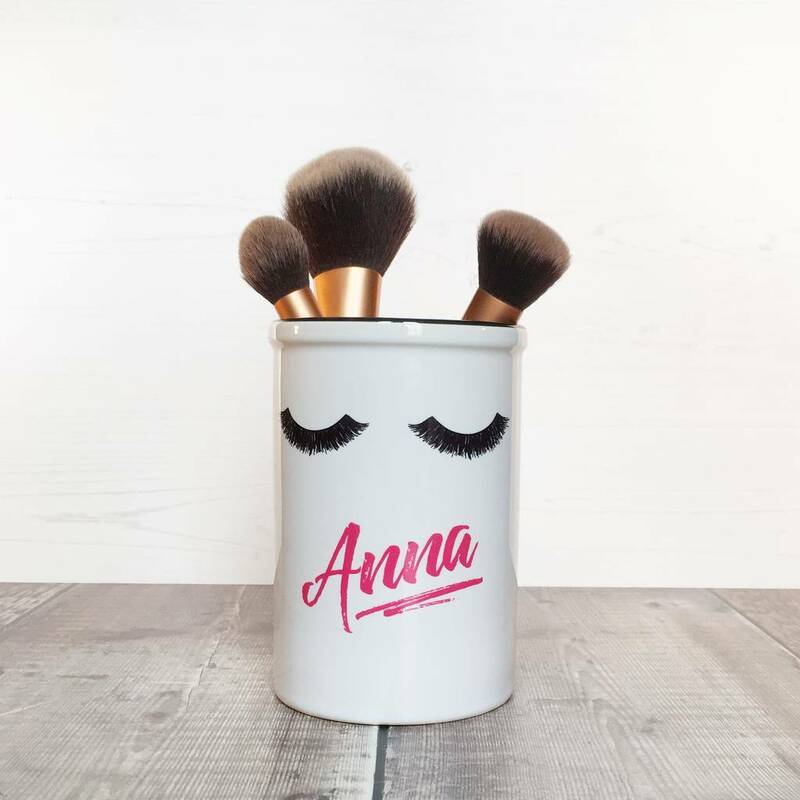 The make up brush holder makes the absolute perfect gift for all make up lovers of any age! The perfect gift for Christmas and Birthdays alike. White ceramic pot with black interior.